Can one place be both relaxing and invigorating at the same time? Explore the dramatic beauty of the escarpment. Relax on one of the many serene shallow beaches. Check out the local eateries. With incredible hiking and caves to explore, your senses will be heightened, your body relaxed. At night, the sky is truly magical before you peacefully drift off to sleep. Yes, Lions Head is both. And more. Watch our Lion's Head video on YouTube. Come see Saturn’s rings, Jupiter’s moons and the Great Red Spot with Bayside Astronomy every Friday and Saturday evening at dusk in the summertime at the Peninsula Observation Deck, just steps from the Lion’s Head Marina. At Greig’s Caves, explore natural limestone caves and breathtaking views from 300 feet above the sparkling waters of Georgian Bay. 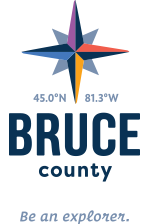 Or head to The Bruce Trail, to hike in a nature reserve known for the largest concentration of glacial potholes on the escarpment. To find that uniquely Canadian-made reminder of your restful unwinding in Lion’s Head, visit The Dandy Lion. Discover hidden secrets at Hellyer’s Food Market. An unexpected staircase in the cereal aisle transports shoppers to Grandad’s Attic, to pick up a board game or elusive antique for the cottage. Before heading out to enjoy the serenity of Lion’s Head, grab a perky cup of fair trade organic coffee from Rachel’s Bakery and Café. Lunch is served at Marydale’s Family Restaurant, a cozy neighbourhood hangout in the centre of town. Many scrumptious choices on menus illustrated by local school children, but locals will say the Crispy Chicken Wrap is their hands down favourite. Walk, drive, ski or snowmobile to the traditional English pub, The Lion’s Head Inn, at the end of the day to savour their panko breaded Perch Feast. Trip Advisor’s top rated B&B on the Bruce Peninsula, Cape Chin Bed and Breakfast welcomes you home to a relaxing evening and gets your day fueled with energetic choices for breakfast. For a water-side stay, Lion’s Head Beach Motel & Cottages lets you hear the waves lapping at the shoreline while you sleep. Tour#3 from Richard Thomas on Vimeo.